Today we kick off a series on European footwear at the end of Elizabeth I's reign, and beginning of James I's, culminating on Friday with the pre-order release of our latest early-period shoes, "Virginia." What better place to start than by looking at originals? 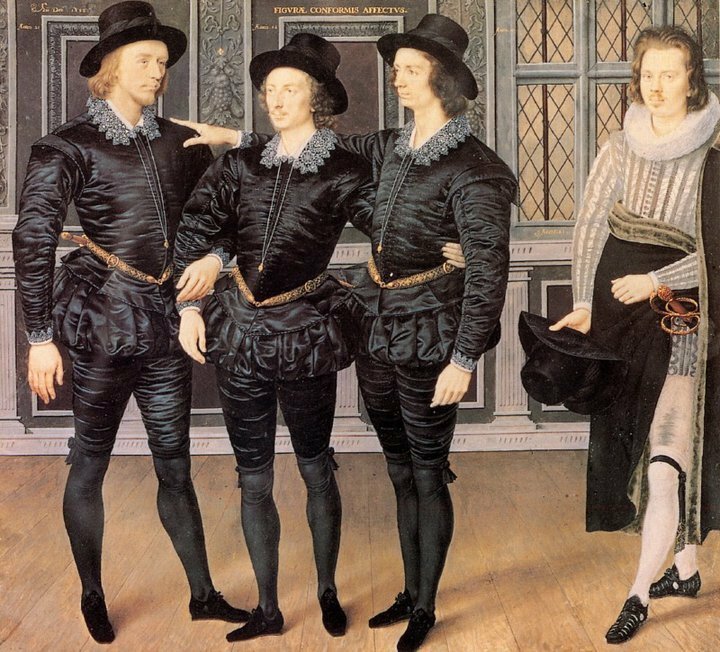 Those of you familiar with our Stratford shoes will be interested to know that flat shoes and heeled were contemporary, and that the aristocracy wore flat shoes as well as heeled, but heeled shoes for classes further down the food chain did not come into common wear until later in the 17th century. 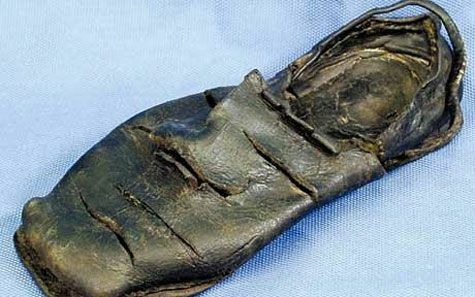 This type of shoe was nothing new. 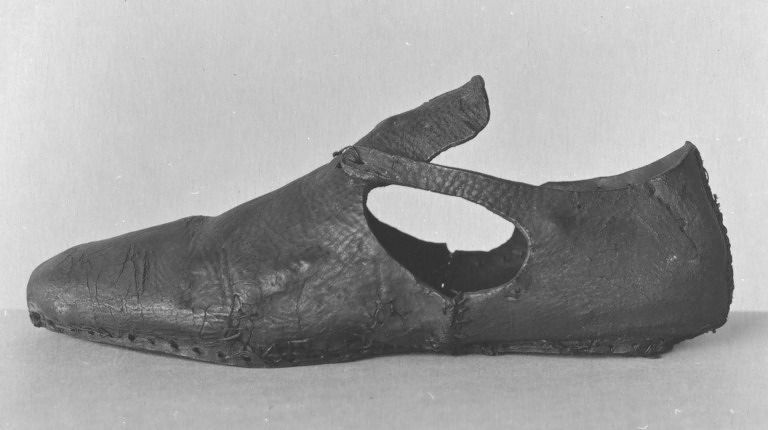 Similar, simple shoes were found on the Mary Rose, dating from 1545, and brought up from the Thames, some exhibiting slashing, cow-mouth, round, or softly square toe shapes, slippers, strap closure, tie closure, and latchet closure. There was quite a variety. Sir Thomas Pope, c. 1635 - still flat, square-toed, quite large opening on the side, and black. Love his jaunty pink stockings, too! There are still some stragglers later in the 17th century, but by about the 1670s, shoes started to change significantly, and we're moving into high, French-heeled territory. So there's a basic primer on this particular shoe style of this specific time period. Next time, I'll share more about Virginia's development, with tantalizing photos, and enticing reasons why you simply must have them for your next Renaissance Fair! How exciting! Thanks for sharing, this isn't a period I know much about. Your article covers all the major aspects of the topic. Simply marvelous.